October 22 – 26 is National School Bus Safety Week. 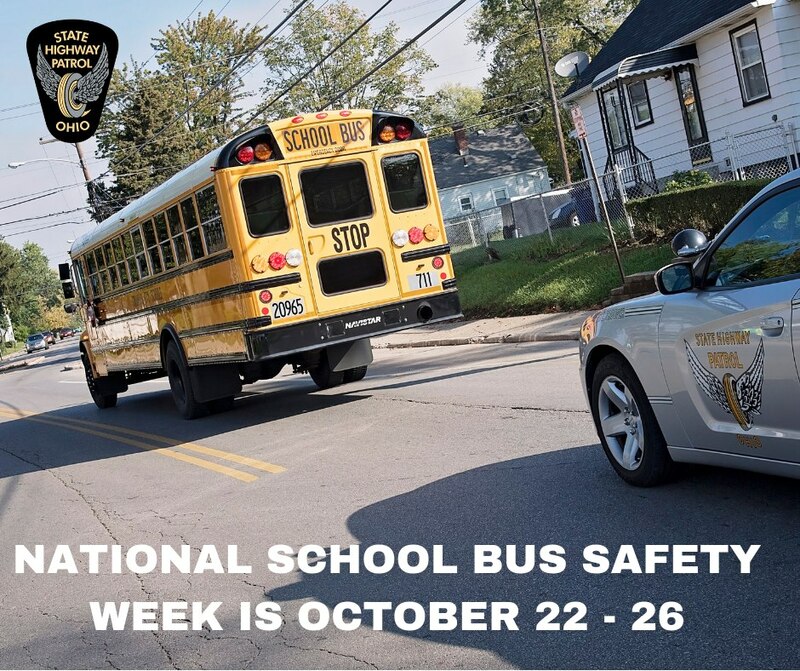 Throughout the week, troopers will be highly visible in and around school zones and following buses on their daily routes. Troopers may be found riding on school buses looking for motorists passing stopped school buses.